The requirements of an FHA loan are designed to put home ownership in reach of a broad swath of middle-class Americans who can afford a mortgage payment but otherwise would have difficulty qualifying for a home loan. Those requirements – including low down payments and lenient credit demands – have made FHA loans the go-to choice for generations for first-time homebuyers and others. They're also why FHA loans currently make up about one-fifth of all home purchase mortgages in the United States. So what do you need to qualify for an FHA loan? You may know the basic requirements – as little as 3.5 percent down, low credit scores are allowed, the home must pass an inspection, etc. – but that's just the beginning. Here's a closer look at the various requirements of an FHA loan and what you need to do to meet them. The FHA isn't a mortgage lender itself. The Federal Housing Administration is a government agency that guarantees certain mortgages that meet its requirements. That guarantee reduces the risk for lenders, allowing them to write loans for borrowers they otherwise might not approve, while lowering the cost of those loans for borrowers. 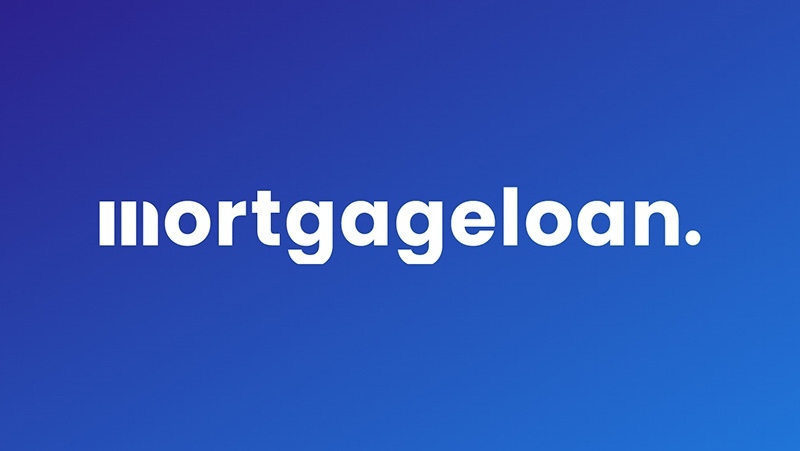 FHA home loan requirements spell out exactly what standards a loan must meet in order to be guaranteed – the minimum down payment, borrower's credit score, the interest rate charged, the borrower's proof of income, etc. If a loan meets those requirements, the FHA will guarantee it. In some cases, individual lenders will have their own requirements that exceed those of the FHA – particularly in regards to the minimum credit score or how long you have to wait after bankruptcy to be eligible for a new loan. But they match the FHA requirements on most things. The down payment is perhaps the best known of all FHA loan requirements. You can put down as little as 3.5 percent. But there's more to it than that. To qualify for a 3.5 percent down payment, you need to have a FICO credit score of 580 or above. Fortunately, that covers the majority of borrowers. But if you have bad credit – specifically, a score of 579 or below – you'll need to put down at least 10 percent. And you may have trouble finding a lender to approve you – many FHA lenders won't approve loans with scores that low (see section on credit scores, below). The down payment doesn't necessarily have to come out of your own pocket. FHA requirements allow you to receive part or all of the down payment funds as a gift or grant from certain sources – a relative or friend, your employer or labor union, a charitable organization or a public entity providing housing assistance. It can't come from the seller, your broker, the home builder or anyone else who stands to financially benefit from the sale. Technically, you can qualify for an FHA loan with a credit score as low as 500. In practice, it may be hard to find a lender who'll approve a score that low. Most FHA mortgage lenders have minimum credit score requirements in the 580-620 range these days, though some will go lower. But the lower your score is below that, the harder you'll have to hunt for a lender to approve you. You can also expect to pay a significantly higher mortgage rate on a loan with a sub-580 credit score than you would with a better score. And, as mentioned above, the FHA requires at least a 10 percent down payment on loans with credit scores below 580. The FHA does allow an exception for borrowers who simply have not established any credit; that is, they have no records of credit cards, auto loans, personal loans, etc. to base a credit score on. In that case, the FHA allows alternative credit scoring based on records of non-loan payments like rent, utilities, cellular service, cable TV, internet, insurance and other recurring bills. But not all FHA lenders are willing to take on the extra work involved in underwriting this sort of loan. On a positive note, FHA loan requirements don't demand higher mortgage rates for borrowers with lower credit scores the way conventional mortgages do. So a borrower with a score in the low 600s could get the same rate as someone with a score 100 points higher. This is one reason FHA loans can be a good deal for borrowers with flawed credit. Closely related to credit scores are bankruptcies. The requirements of FHA loans are fairly lenient when it comes to bankruptcies, allowing you to qualify for a mortgage in as little as 2 years after discharging a Chapter 7 bankruptcy, or as little as 1 year after initiating a payment plan under a Chapter 13 bankruptcy. You must maintain a good credit history and keep up with any mandated bankruptcy payments since the bankruptcy in order to qualify. Note these are the FHA minimum requirements and that individual lenders may require a longer wait. All FHA home loans have a requirement for mortgage insurance. It's how the FHA covers the cost of insuring the loans. There are two types: an upfront mortgage insurance premium, paid when you take out the loan, and an annual mortgage insurance premium, which is an ongoing expense. All FHA loans require the upfront mortgage insurance premium, which is a one-time charge equal to 1.75 percent of the loan amount. This can be rolled into the loan, so you don't necessarily have to come up with the funds before closing the loan. The other is an annual premium that varies depending on your down payment and the type of loan. While calculated as an annual charge, it's billed as part of your regular monthly mortgage bill in 12 equal payments. Most FHA borrowers will pay an annual mortgage insurance premium of 0.85 percent of the loan amount for a 30-year mortgage with less than 5 percent down. Putting down more than 5 percent gets you a slight reduction to a 0.80 percent annual premium. On 15-year FHA loans, the annual premium is 0.70 percent for loans with less than 10 percent down, and 0.45 percent for loans with down payments of 10 percent or more. A different pricing structure kicks in for "jumbo" FHA loans exceeding $625,500. On those, the annual premium is 1.0 percent for 30-year loans with less than 10 percent down, and 1.05 percent on loans with 10 percent down or more. For 15-year FHA jumbo loans, the annual premiums are 0.95 percent with less than 10 percent down; 0.70 percent for loans with 10-21.99 percent down; and 0.45 percent on loans with 22 percent down or more. Borrowers who make a down payment of 10 percent or more can cancel the annual mortgage insurance premium after 11 years, provided they have kept up with their payments. Borrowers who put down less than 10 percent must pay the annual mortgage insurance premium for the life of the loan. However, you can eliminate it by refinancing into a non-FHA mortgage once you reach 20 percent home equity. FHA loan requirements limit how much you can borrow. In most of the United States, the loan limit is $294,515 for a single-family home. However, in counties with high real estate values, that limit can go as high as $679,650 in the lower 48 states and up to $721,050 in Hawaii (2018 limits). Higher loan limits are allowed for 2, 3 or 4-unit residences, ranging as high as $1,386,650 for a 4-unit residence in Honolulu. For a complete table of loan limits by county, see the FHA Mortgage Limits List on the HUD (Department of Housing and Urban Development) web site. To qualify for an FHA loan, you must be purchasing the home for your own use as a primary residence. You may have non-occupant co-signers, such as your parents, to help you qualify. You can use an FHA loan to buy a multi-unit property of up to four residences, as long as one of the units is for your own use as your primary home. You must be 18 years old or older, be able to document steady employment and have at least two years with the same employer or running the same business. As far as income, your debt-to-income ratio matters more than how much you earn each year. For an FHA loan, lenders generally want your total debt payments – your FHA loan and all other payments on debts – to be no more than 41 percent of your gross monthly income, though they may go as high as 50 percent for borrowers with excellent credit. Lower limits may be applied to borrowers with poor credit. Your debts include payments on any money you have borrowed – credit cards, auto loans, personal loans, etc. Your mortgage debt includes any expenses included in your mortgage payments, such as homeowner's insurance, property taxes and mortgage insurance. Before you can be approved for a loan, FHA requirements specify that the home must pass an inspection to ensure it is safe for habitation. That's a step beyond the appraisal required for a conventional mortgage, which merely determines if the value of the home is enough to support the loan. An FHA 203(k) loan is a special type of home improvement loan that allows you to include the cost of certain repairs and home improvements in the mortgage used to purchase or refinance a home. The 203(k) allows you to borrow up to 110 percent of the projected value of the home after improvements as part of a single loan to purchase/refinance and improve a home. Credit requirements are a bit tighter than on a regular FHA loan – lenders typically demand a credit score of at least 620-640 to approve a 203(k) application. And not all FHA lenders offer 203(k) loans, so you may need to shop around a bit to find the right one. There are two types of FHA 203(k) loans: streamlined and standard. The Streamlined 203(k) allows you to borrow up to $35,000 for minor repairs and improvements – things like new appliances or a furnace, new roofing, window/door replacement, interior/exterior painting, new siding, septic repairs, etc. You can sometimes do some of the work yourself with a Streamline 203(k). A standard 203(k) has stricter requirements but potentially allows you to borrow more, depending on how much value the improvements are expected to add to your home. A standard 203(k) is for major repairs or improvements and involves more paperwork. A standard 203(k) can be used for projects like adding new rooms, structural repairs like shoring up a basement wall, any work requiring blueprints or other professional plans, or work lasting more than three months. Pretty much anything you do with a standard 203(k) will require the use of a contractor or other building professional. An FHA Streamline Refinance allows you to refinance a current FHA loan with a minimum of fuss. Paperwork is minimized and there are no requirements for a credit check, income verification or an appraisal. As long as you are current on your mortgage payments, have no missed payments (more than 30 days past due) in the last six months and no more than one missed payment in the last year, you can qualify. A Streamline Refinace must provide a "tangible benefit," generally meaning you must be able to lower your current mortgage rate by at least one-half of a percentage point by refinancing. You can also shorten your loan term at the same time, such as switching from a 30-year to a 15-year mortgage. A Streamline Refinance requires that you pay the upfront mortgage insurance premium and that you continue to pay annual mortgage insurance premiums if you are doing so on your current loan. Borrowers who obtained their current loans prior to June 1, 2009 need pay only a 0.10 percent upfront mortgage insurance premium and an annual premium of 0.55 percent; those who obtained their current loans on or after that date pay the standard 1.75 percent upfront premium and the regular annual premium for their type of loan.